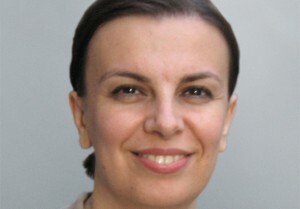 At the time, the ICJ noted that the disciplinary proceedings came against a background where, in her capacity as Chairperson of the Bulgarian Judges Association, Judge Todorova had publicly highlighted problems in the Bulgarian judicial system, and had been a leading critic of the SJC. She had drawn attention to the repeated verbal attacks on the judiciary by members of the Government, in particular by the Minister of the Interior, which pose a threat to judicial independence in the country. The ICJ expressed concern that Judge Todorova may have been targeted in the judicial disciplinary process due to her publicly expressed concerns at government interference with judicial independence. International standards on the independence of the judiciary prescribe that disciplinary sanctions, which may follow where judges fail to carry out their duties in an effective and proper manner, must follow a fair procedure. Any disciplinary measures must be proportionate (see for instance Recommendation CM/Rec(2010)12 of the Committee of Ministers to member states on judges: independence, efficiency and responsibilities, para. 69). It would be fundamentally inconsistent with international standards for a judge to be disciplined for good faith efforts to defend the independence of the judiciary. This principle is affirmed in the UN Basic Principles on the Independence of the Judiciary, particularly articles 1, 6, 8, 19). The ruling of the SJC remains unavailable in English and the ICJ has not fully assessed its findings. However, even assuming that some legitimate grounds might exist for disciplinary action, ICJ remains concerned about the validity and proportionality of the penalty imposed by the SJC’s new decision. Further, no meaningful consideration was reportedly given to the fact she has already been suspended from working as a judge during the year since the initial decision. The disciplinary proceedings were initiated long after the limitation period had expired. In light of these and other factors, the concern that the proceedings may have been selectively initiated or pursued due to Judge Todorova’s earlier attempts to defend judicial independence, has not been dispelled. Source: 13.06.2014. http://www.icj.org/?p=29476. Republished with permission.